When the Bank of Canada (BoC) adopted a more dovish tone earlier this month, it explained that it would be “decidedly data dependent” going forward and that it would adjust its policy rate “to developments as they unfold”. In particular, the Bank highlighted developments in three key areas that would determine “the appropriate pace of rate increases”: Canadian oil prices, Canadian house prices, and global trade policy (which, in banker speak, means the evolution of the U.S. /China trade conflict, the ratification of the new USMCA, and the continuation of U.S. tariffs on our aluminum and steel). In today’s post, we’ll check in on these three key areas. The Bank sees both downside and upside risk in the U.S./China trade conflict. If it drags out, foreign demand for our exports could fall by more than expected, leading to “a breakdown in global value chains, falling business confidence and lower commodity prices”, and at the same time, inflationary pressures could be stoked from a combination of higher tariffs, lower productivity and a weaker Loonie. Conversely, a broad agreement between the U.S. and China would remove “the near-term upward pressure from tariffs on prices” and would also likely fuel stronger-than-forecast economic activity both at home and abroad. The key date in ongoing U.S./China trade negotiations is March 1. If no agreement is reached by that deadline, U.S. President Trump has promised that he will raise the existing tariffs on $250 billion worth of Chinese imports to 25%, and add tariffs to another $267 billion worth of Chinese goods. China would then, of course, be expected to retaliate with tariff escalations of their own. While most market watchers do not expect that to happen, seeing it as the “nuclear option”, President Trump has proven to be unpredictable, and he believes that he currently has China on the ropes. The growth rate of the Chinese economy has slowed of late. Part of that slowing is the natural consequence of transitioning from an economy underpinned by export-led manufacturing to one that is focussed on a domestic-led consumer spending. But China’s economic momentum, whatever its source, has been underpinned by massive debt accumulation, and while Chinese policy makers have recognized the problem and have repeatedly tried to rein in debt growth, they have quickly reversed course each time. Furthermore, rising interest rates and a weaker currency are exacerbating the negative impacts that debt is exerting on China’s economic momentum. The U.S. economy is also starting to feel the impacts from both Chinese and U.S. tariffs. China placed tariffs of $110 billion of U.S. imports in retaliation to President Trump’s initial salvo, and at the same time, U.S. tariffs and Chinese imports are raising input costs for U.S. manufacturers, many of whom are having difficulty passing cost increases on to end users. Not surprisingly, recent U.S. manufacturing data portend a slowdown as the trade conflict’s negative impacts become further entrenched. China’s Vice Premier Liu He and U.S. Trade Representative Robert Lighthizer are scheduled to meet in Washington this Wednesday. If those talks are perceived to be productive, the bond market might respond by pushing higher Government of Canada (GoC) bond yields and our fixed mortgage rates which they are priced on. On the domestic front, the new USMCA has yet to be finalized, and given the acrimony in Washington between the Democrats and Republicans, its approval is more than a formality at this stage. If the Democrats hold up the agreement, President Trump may threaten to withdraw the U.S. from NAFTA in the meantime, and our new trade agreement could end up being a political pinball between the two warring parties. Meanwhile, the U.S. continues to impose tariffs on Canadian steel and aluminum imports, and that continues to drag on our economic momentum. The various trade issues that are weighing on our economy still appear to be a long way from resolution, and as such, global trade policy uncertainty is likely to remain near the top of the BoC’s worry list for the foreseeable future. The BoC also sees the risk around oil-price movements as two-sided. The Bank believes that oil prices might recover “to above the levels assumed in the projection if market concerns about the U.S.–China conflict were to subside”, or the gap between Canadian and global oil prices could widen again “if transportation capacity were not adequately expanded”. When generating the economic forecasts for its January Monetary Policy Report (MPR), the BoC assumed prices of $50/barrel for West Texas Intermediate (WTI) and $30/barrel for Western Canadian Select (WCS), which implied a $20 discount for WCS. Since the BoC issued its latest MPR, WTI has risen to $53.37, while WCS closed last Friday at $42.13. Most importantly, the WCS discount over the WTI price has narrowed to $11.24, which is well within its historical range of $10 to $15, and a far cry from the $43 discount that we saw in December. The BoC is no doubt encouraged by this price-gap normalization, but its benefits for our oil-producing regions came with a significant cost. When the WCS price collapsed, the Alberta government responded with a mandated 8.7% oil-production cut, which works out to 325,000 barrels a day. The plan was to curtail production in order to draw down the inventory surplus that was feeding the WCS price collapse. Encouragingly, thus far the plan appears to be working as intended, but the curtailment in production has reduced overall economic output in our oil-producing regions. Furthermore, while the BoC will no doubt see the recent WCS price rise and the shrinking of the WTI/WCS price gap as positive developments, the Bank’s real focus is on longer-term investment in the energy sector and on the elimination of transportation bottlenecks that continue to hamper our energy sector with competitiveness challenges. Energy-sector firms are still curtailing investment plans for 2019, and pipeline negotiations continue to follow a pattern of one step forward and two steps back. Against that backdrop, the energy-sector progress that the BoC is looking for will likely be slow to materialize. The BoC is monitoring house prices in key regional markets for signs of “a sharp decline” that “could dampen consumption, housing demand and construction activity”. Our policy makers have tried to walk a fine line between reducing our economy’s reliance on debt and not killing our hard-won economic momentum or destabilizing our regional housing markets, notably Toronto and Vancouver, but also Edmonton and Calgary, which are particularly vulnerable to energy-sector volatility. Recent data confirm that a sharp slowdown in our rate of household debt accumulation is already underway, with debt growth dropping to its lowest level in 35 years. Furthermore, that slowdown is occurring even before our economy has absorbed the full impact from the BoC’s five quarter-point rate hikes that began in July of 2017 (which I wrote about here). In a recent Globe and Mail article, Janet McFarland highlighted recent data showing a 0.3% month-over-month decline in the Teranet-National Bank Composite National House Price Index in December, which was the third monthly decline in a row. At the city level, Vancouver saw a month-over-month price index decline of 1.18% (its fifth consecutive monthly decline), Calgary prices fell by 0.58% (its sixth consecutive decline), Edmonton dropped by 1.40% (its fourth consecutive decline), and Toronto experienced a modest 0.17% rise. 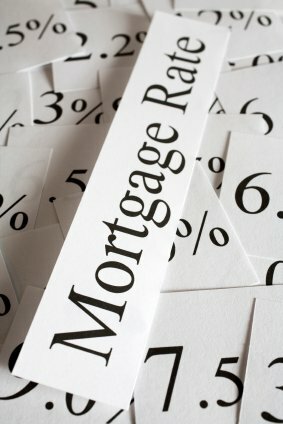 While the level of price declines is minor and somewhat expected given the impact from rising rates and last year’s mortgage rule changes, the consistent and steady declines in most major Canadian cities combined with the delayed impact of the BoC’s already enacted rate hikes are likely to give the Bank pause going forward. Other recent data also correlate with a general slowing in our overall economic momentum. Our export sales dropped by 2.9% on a month-over-month basis in November, which marked the fourth consecutive monthly decline, and our retail sales also fell by 0.9%. Some economists are now predicting that we will see a decline of 0.1% in our overall GDP for November, which Statistics Canada will confirm this Thursday. The Bottom Line: The timing of the BoC’s next rate hike will depend primarily on data relating to oil prices and regional house prices and on the evolution of global trade policies. To those ends, Canadian oil prices have recovered recently, but only in response to production cuts, regional house prices have mostly continued to decline, albeit gradually, and trade-policy negotiations remain unsettled. It seems clear that improvement in all three areas will take time, and that makes any additional rate hikes by the data-dependent BoC unlikely over the near term. If I’m right, both our fixed and variable mortgage rates should remain at or near their current levels for the foreseeable future. David Larock is an independent full-time mortgage broker and industry insider who helps Canadians from coast to coast. If you are purchasing, refinancing or renewing your mortgage, contact Dave or apply for a Mortgage Check-up to obtain the best available rates and terms.